Stephen Michael Brunson was born on August 28, 1960 in Boston, Massachusetts. He was the second of six children to Eugene Brunson and Minnie L. Nelson. The family moved to Jackson, Mississippi in 1964 and it was here that Bishop Brunson spent the next fourteen years attending school until his graduation in 1979 from Wingfield High School. 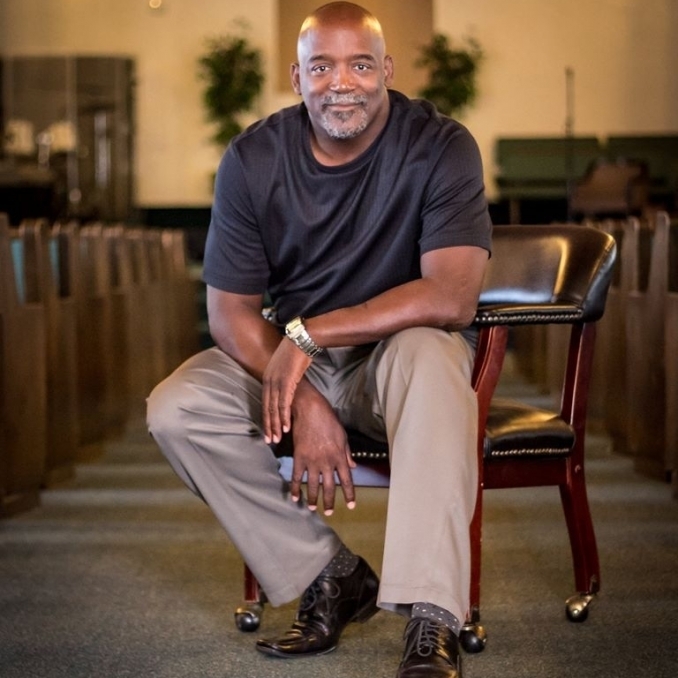 During his time in high school, Bishop pursued his love of music by playing the trumpet in the school band and at local nightclubs in Jackson. The trumpet would even serve him during his time in the United States Navy. After graduation, Bishop Brunson joined the U.S. Navy in 1979 and devoted most of his career to the field of Aircraft Electrician. However, the Lord had a more vital mission for him. On July 16, 1980 Bishop was filled with the Holy Ghost and a year later was baptized in the name of Jesus Christ in the Philippines. Sea duty helped him to focus on the Lord’s work. By leading Apostolic Bible studies, conducting church services, baptizing new converts in foreign ports, and winning souls to Christ, Bishop Brunson developed a hands-on approach to the Ministry. He began earnestly preaching in May 1985 and received his state ministerial license in July 1987. Even with his many responsibilities at Greater Apostolic Faith Temple Church, Bishop Brunson still found time to attend Aenon Bible College. He completed an accelerated bachelor’s program in Work Force Education and Development at Southern Illinois University. One day his dream of opening an Adult Learning Center at City of Praise Church will become a reality with God’s help. His service to his country ended with his retirement on December 31, 1995. However, God had already given him the path for his next spiritual adventure in January of the same year. The road of pastoral service is not traveled by the faint-hearted nor is it reached by merging on the highway of life. This life of service requires taking the rough back roads. 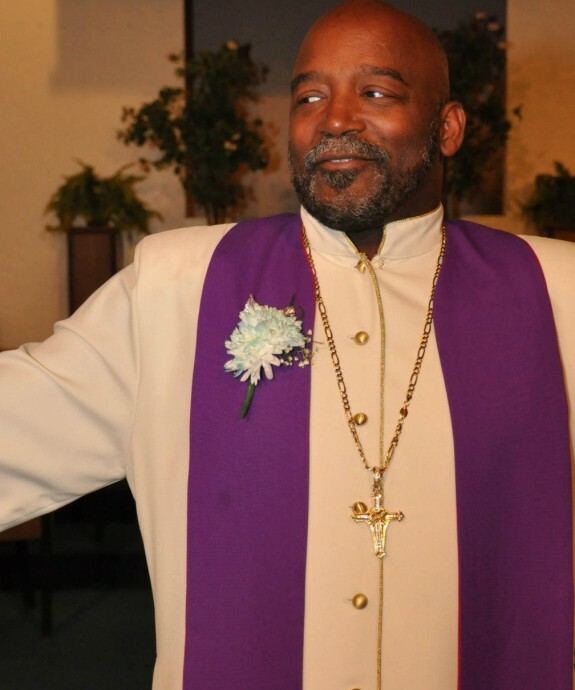 Bishop Brunson has taught Sunday school and Bible studies, run children’s church, and been instrumental in getting the young people enthusiastic about serving God. The church has utilitized his talents as a Director of Public Relations, as a Deacon, as a Minister, and a musician in the choir. His election as State Youth Vice-Chairman of the California District Council (CDC) in 1995 allowed him to assist the young people’s cause to a greater degree. In this office, he helped make the State Youth department a strong spiritual base for the young people of California and he assisted in establishing fiscal responsibility. He was also a key member in starting the State Youth Convention and the West Coast Jubilee. All these areas of service would help to prepare him for his greatest challenge as a Bishop. Also in 1995, heeding the call of God, Bishop Brunson started his assignment in the pastoral ministry. Since then he has labored in the ministry as the Bishop and senior Pastor of City of Praise Church in El Cajon, Ca alongside his lovely wife Dr. Angela Marie Brunson, whom he married in May of 1983. God has blessed them with four wonderful children, and one lovely granddaughter. His ministry is dedicated to communicating hope and gathering souls to praise God. He received his Honorary Doctorate of Divinity from Elbon School of Ministry, Apple Valley, California. On August 26, 2007, Dr. Brunson was consecrated to the bishopric by Apostle Floyd E. Nelson, the First-Vice Presiding Bishop of the International Bible Way Church of Our Lord Jesus Christ Incorporated. In 2010, he was appointed by the Honorable Bishop Henry Alexander, Prelate of the Shield of Faith Fellowship of Churches International, to head the Shield of Faith Ministerial Alliance which contains over 500 ministers. In addition, he was appointed in April of 2011 by Bishop Alexander to be the Diocesan for the South Pacific churches which includes: Fiji, Australia, and New Zealand.